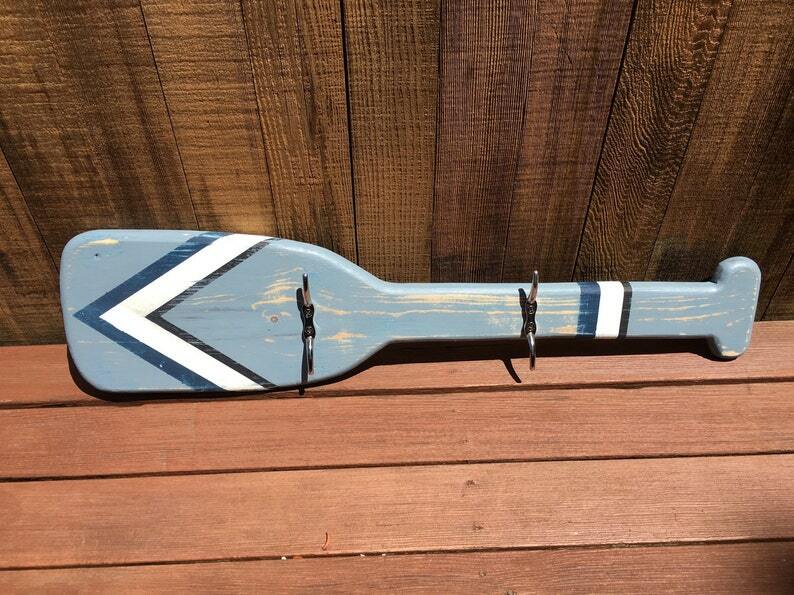 Hand made solid pine oar with a vintage weathered look. Wall hanging hardware included. For $10.00 more, add steel boat cleats for hanging towels, hats, or coats. Please specify Vertical or Horizontal orientation for proper hardware installation. Love the colors and the workmanship, very pleased with my purchase! These wood logs are absolutely stunning and the seller is wonderful. Great communication and super fast shipping. I will buy again from this seller. Thank you!!!! Highly recommended.